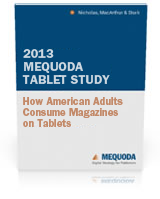 May 20, 2013 – BOSTON — According to the 2013 Mequoda Tablet Study, released today by Mequoda Group, 23% of tablet users currently prefer to read digital magazines on their tablets as opposed to print. 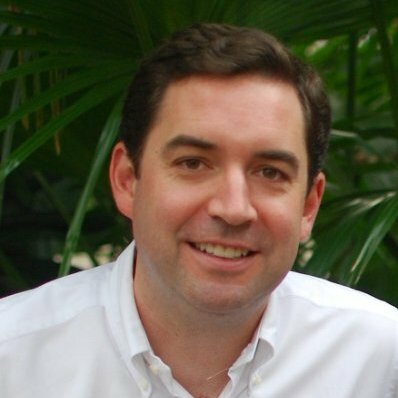 By 2020, Mequoda’s CEO Don Nicholas predicts that number will rise beyond the halfway point to 65% — including all U.S. Adult Internet users, not just tablet users. The tablet study, which consisted of 1,293 U.S. Adult tablet users, consisted not just of people who own tablets, but also those who use them, since so many families share tablets. The iPad won the vote for popularity, reining in 62% of ownership, which parallels similar numbers to their market share. The Kindle Fire was a strong second place, and a combined number of Android-based tablets rang in third. The study showed that 13% of tablet users have purchased either a single issue magazine or a subscription on their tablets in the last thirty days. It also showed that tablet users consider digital books the most trustworthy source of information — even surpassing the word of their friends and family. “The rapid consumer adoption of tablets, and an early preference for digital magazines over print magazines by their users, leads us to conclude that a long-range digital publishing strategy is imperative to the survival and prosperity of every magazine publisher,” says Nicholas. In 2011, Mequoda Group conducted a robust study about the media consumption habits of millennials, called Mequoda’s Digital Native Survey. A 20-minute video offered face-to-face interviews with millennials and shed light on how and why they purchase digital content like music, video, digital books and digital magazines. Like the previous study, Mequoda will be working over the summer to produce another video to help visualize the data found in their current 2013 Mequoda Tablet Study. The video will debut at their July Digital Publishing & Marketing Intensive in Boston, Massachusetts. Tagged with content, digital content, digital magazines, digital publishing, Digital Publishing Strategy, magazine, magazines, managing editor, media, mequoda, print magazines, publishing strategy, tablet, tablet study, video.